Warren and Maureen Nyerges purchased a house from Bank of America for cash, never getting nor needing a Mortgage. BoA in its infinite wisdom screwed up and issued a foreclosure through their attorney. The Nyerges fought and sued the bank, finally winning a judgment after a year and a half of legal wrangling. The Collier County Judge ordered the bank to pay the Nyerges legal fees of $2,534 for the "error". Five months later the bank had still not paid the judgment, so the Nyerges had their attorney do what the bank would have done, seize their assets. This is one of the few times that one might interchange the term "schadenfreude" with "justice." Bank of America, one of the crown princes of the Thieves Guild, has a habit of foreclosing on the wrong properties. Why? So they can move on to looking for the next loophole? Sorry, but given these unethical corporations efforts to skirt the newly proposed laws - the very first loophole they saw was one that let them screw kids over - what do you expect them to do? "These rescissions hurt patients who need coverage the most, such as women diagnosed with breast cancer," the letter reads. "We are writing to ask all of your companies to end any such abusive practices immediately." The group of Democrats calls on insurers to create a third party board that would review all recissions for evidence of "fraud or material misrepresentation" on the part of the insurance. If th evidence is not there, the recission would be denied. Dems are asking corporations that are legally bound to find every way they can to make profit for investors to ignore one law in order to plug a hole in a flawed healthcare law? You may as well be asking a fox to stop eating chickens or a Congress Critter to stop taking lobbyists' money. Read more about Why? So they can move on to looking for the next loophole? If corporations are people, then they get to vote only once. If corporations are people, then any special deals they get from the legislature are available to everyone. If corporations are people, then they can be charged and prosecuted for contributing to the delinquency of a minor. If corporations are people, then they can be charged and prosecuted for harassment, assault, and murder. If corporations are people, then we can put them in jail. It's been a couple of weeks since I wrote that I may not be posting here very much. But as for the most part I now work on my blogs Monday through Friday only, this will allow me to do a posting here at ePluribus on the weekends when I something I would like to cover or bring to your attention a commentary at my blog FOCUS. Couples trying to obtain a marriage license in the state of Wisconsin should call ahead to their local City Hall to see if their relationship falls under a new category that as of today is not allowed. The new law which was passed last week in what some have called "in the dark of night like politicans in Washington DC" is being termed just as unfair to this minority of the population as is gays and lesbians not being allowed to marry in the state and elsewhere in the United States. Promoted by GreyHawk. Originally posted 2009-01-19 17:02:53 -0500. I'm in total agreement with Obama's sentiment that it's time for America to heal itself and move forward, but I certainly hope he's not so fixated on that sentiment that he allows the Bush/Cheney gang to get away with the damage that they've done to America. Of course, there are those who are going to insist that we have so many challenges before us that we can't be distracted by engaging in vengeance, but this is not a matter of vengeance, it's a simple matter of governmental housekeeping. Just as it is necessary to refurbish and restore our national monuments from time to time, it is even more important that our American ideals be maintained in pristine condition. Thus, by allowing the Bush/Cheney administration to get away with what they've done to those ideals, and the damage they've done to America's image around the world, allowing them to walk away with impunity would be the moral equivalent of allowing them to leave graffiti behind on the Statue of Liberty. What's next for Republic Windows & Doors Workers? What happened at that Chicago manufacturing plant brought back alot of memories of how extremely talented workers fought for what they knew were their rights, decent wages for their labor, on the job safety, trading wages for benefits like health and welfare directly and much much more. Fights that shouldn't have really happened in a real model of capitalism where all should share directly in the quality and growth of their work and the companies they work for. We need to return to that pride in company and product, quality products and customer service, correcting the defaults, and growth for all, owners, workers, and investors. Read more about What's next for Republic Windows & Doors Workers? Citizen soldiers returning from active military duty are entitled by law to get back their old jobs or at least the same salaries, but many are still having trouble. Leslie Stahl reports. "Executive Power and Its Constitutional Limitations"
The House Judiciary Committee today, Friday, July 25th, will put Impeachment squarely back "on the table" and restored to its prominent place in our Constitution. Read more about "Executive Power and Its Constitutional Limitations"
0Wash. 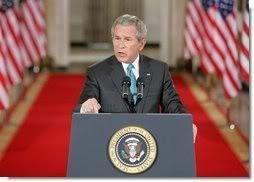 DC) The devastating attack of 9/11 conferred unprecedented popularity on the Bush administration. This was more a reflection of the strong desire for national unity in the wake of a tragedy than an endorsement of Bush policies. After the attack, there was a frantic effort inside the administration to show a major success in their newly proclaimed war on terror. The administration knew what the public didn't: Far from being surprised by airplanes used as weapons, they'd had a series of warnings from intelligence sources that commercial airplanes were indeed the next weapon of choice by terrorists. Once that information became public, the Bush administration would need something more to boost its image. Read more about "certifiable, insane"
Her ability to foresee the future enabled her to become one of the oracles at Delphi, which in turn led to her establishment as the goddess of divine justice. Classical representations of Themis did not show her blindfolded (because of her talent for prophecy, she had no need to be blinded) nor was she holding a sword (because she represented common consent, not coercion). Modern statuary presents the goddess as both blind and armed, which more closely fits the administration of "Justice" in our modern, civilized, and forward-looking world. Let [the President] say what the government is, if it be not a tyranny . . . In questions of power, then, let no more be heard of confidence in man, but bind him down from mischief by the chains of the Constitution. [Thomas Jefferson- The Kentucky Resolutions, art. 8, Oct., 1798. "The ruling by Maui Circuit Judge Joseph Cardoza wrapped up — for now at least — a 2 1/2-year legal challenge that nearly scuttled the $250 million enterprise and ignited a bitter public debate that exposed deep geographic, racial, cultural and political divisions within the state."